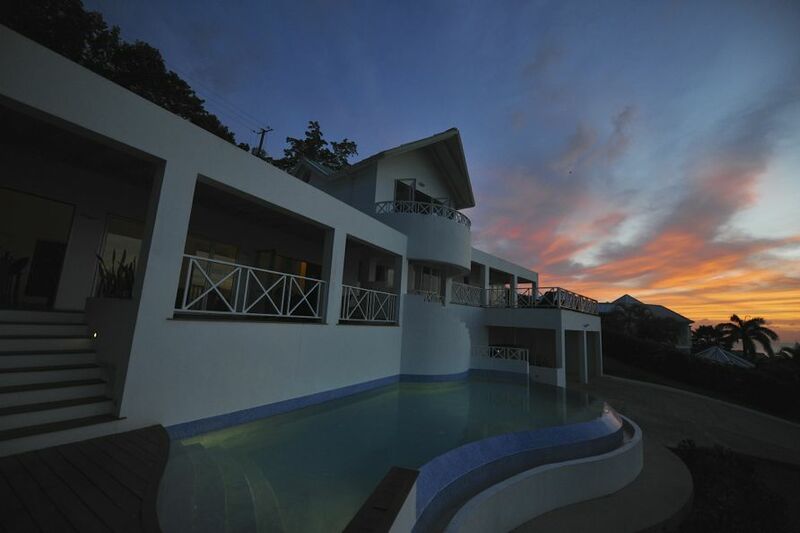 Considered one of the prime oceanfront sites in St Lucia, this unique 3 bedroom 3.5 bath villa enjoys constant tropical breezes, sea views, and access to a beautiful beach just a few minutes walk away. 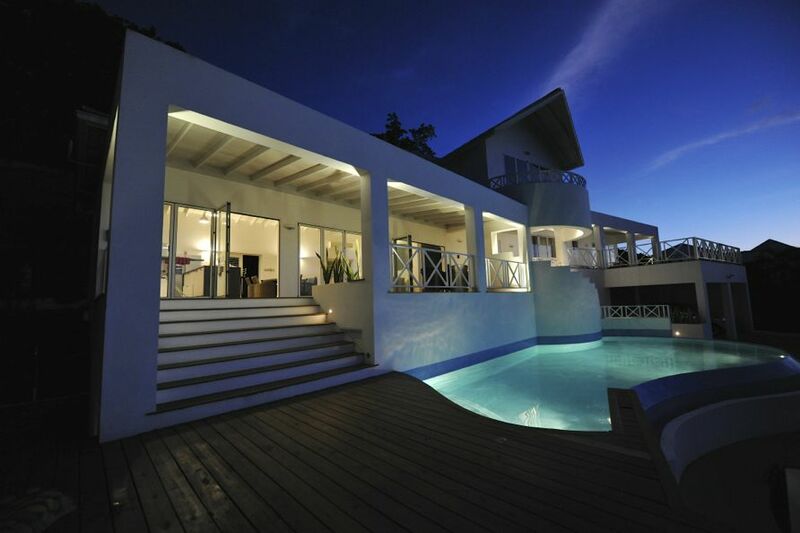 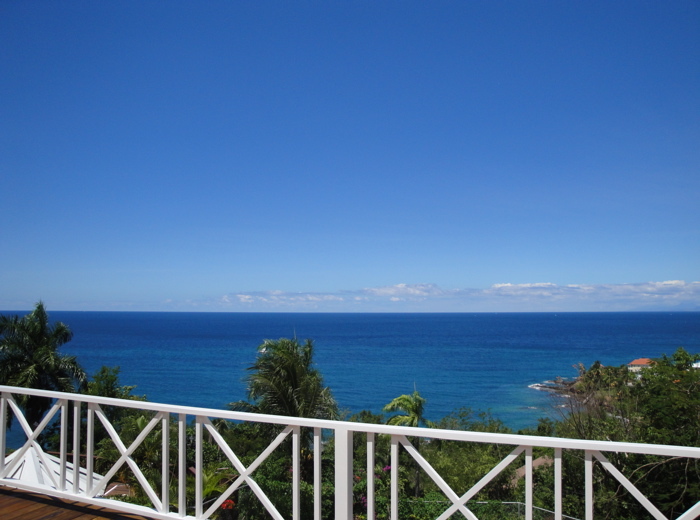 Villa La Toc has been designed for the traditional Caribbean lifestyle centered around outdoor living. 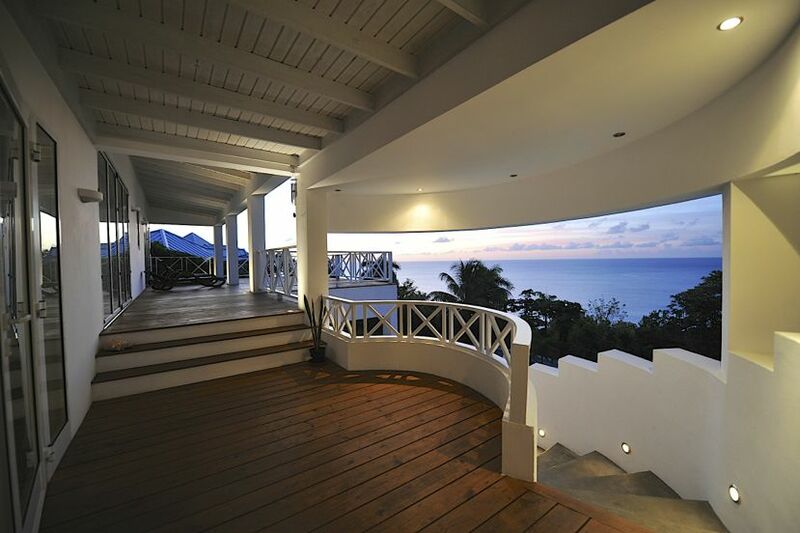 Its elevated position on nearly a half-acre of land allows for privacy, and 180 degrees of some of the most stunning views in St. Lucia. 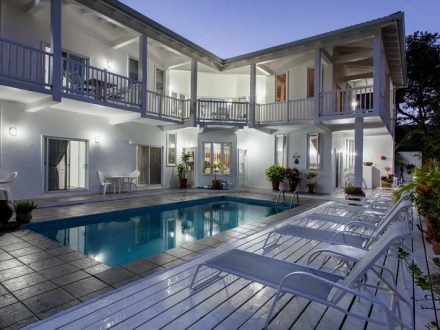 No detail has been spared; with luxurious and comfortable living spaces, the finest fixtures, cathedral ceilings and cutting edge kitchen and bathrooms. 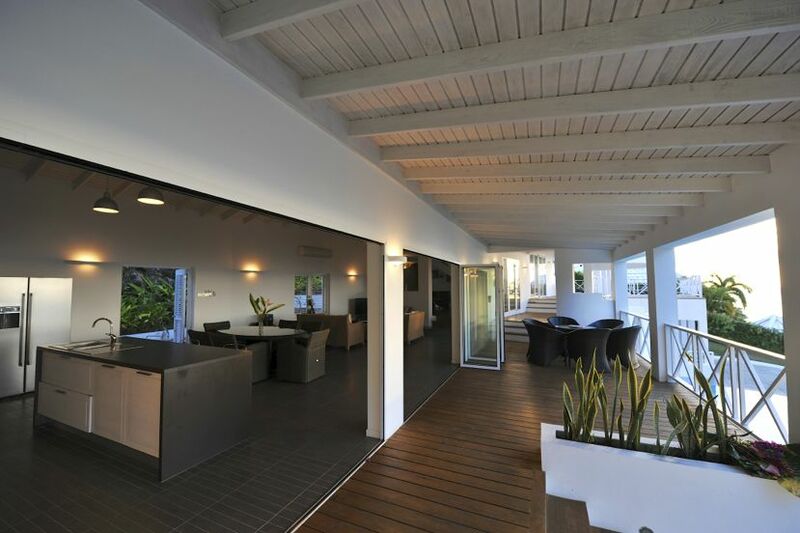 The large open plan main living area features 7′ high glass folding doors which provide a seamless transition to the large terrace that overlooks the curved 35 foot long infinity edged pool, where you can relax and watch the boats go to and from Castries harbor and beyond. 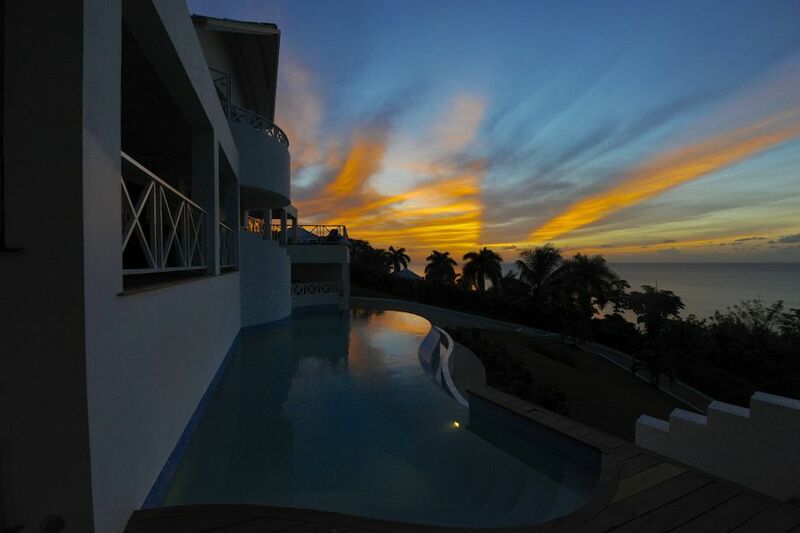 There is a formal dining area adjacent to the Italian fitted kitchen which opens on to the covered terrace, perfect for dining, sunbathing, or entertaining while watching spectacular sunsets. 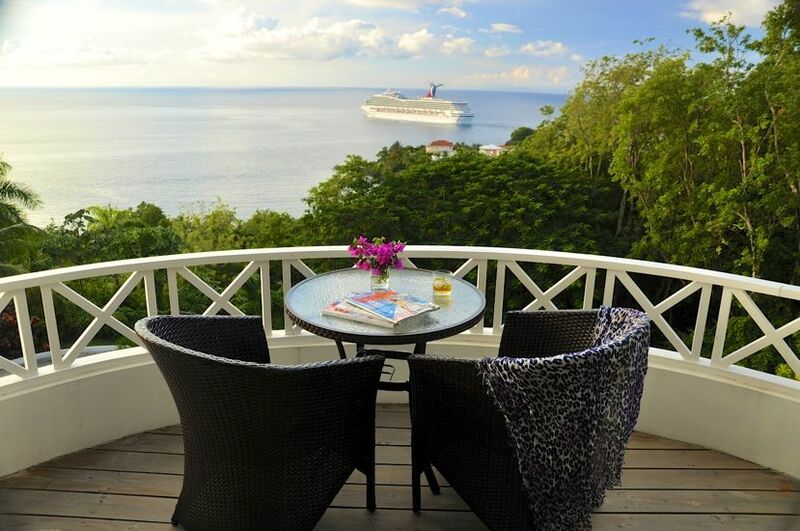 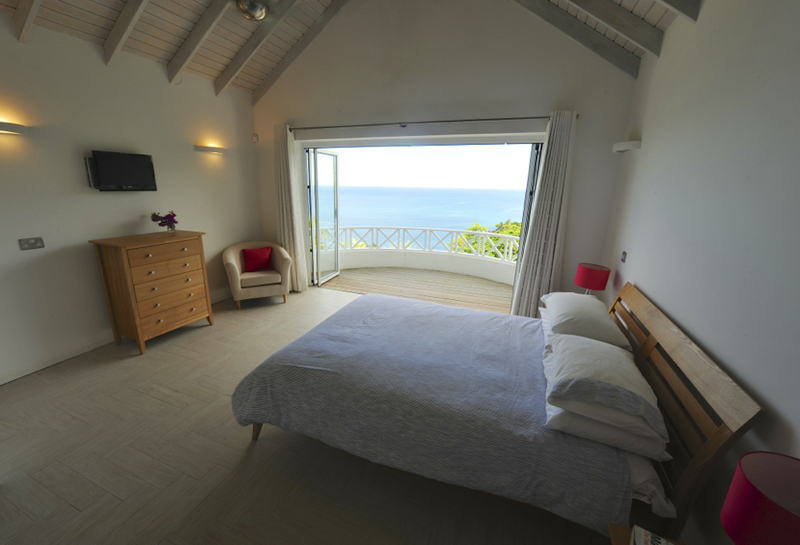 The bedrooms all have en suite bathrooms and open onto the terrace offering unparalleled sea views. 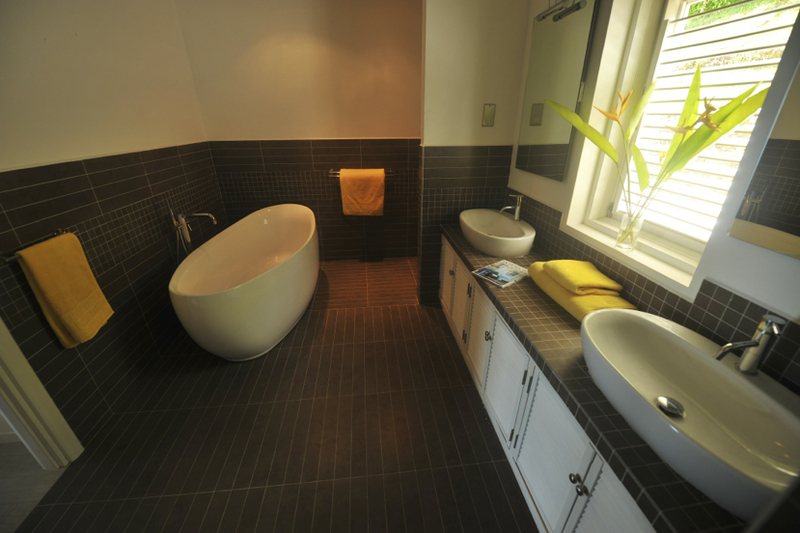 The master suite encompasses the entire top floor and includes a bathroom with double sinks, walk-in shower and a large freestanding bathtub. 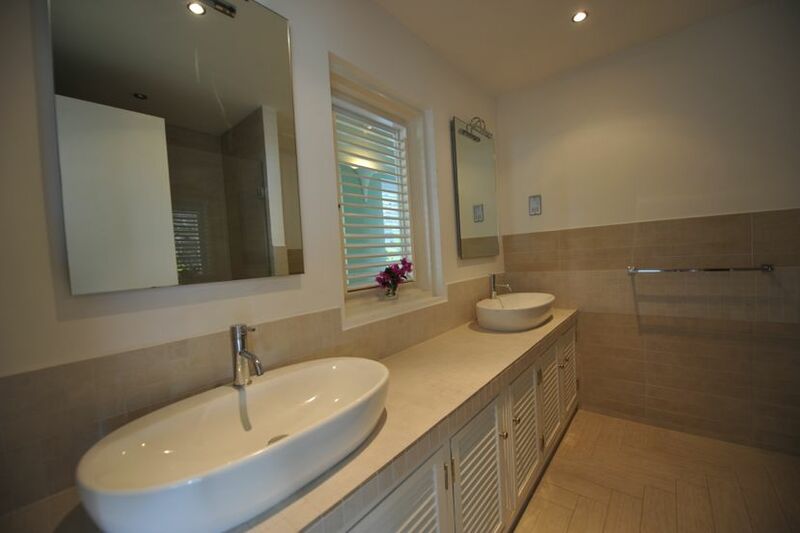 This spacious master bedroom also has cathedral ceilings and a private terrace. 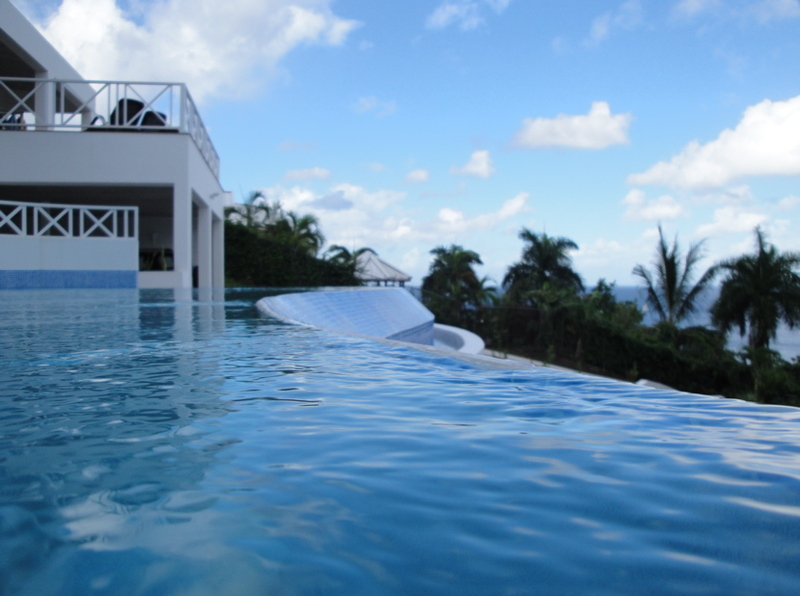 Villa La Toc is an exceptional holiday or winter home, and has a proven and successful rental history for those looking for an investment property.